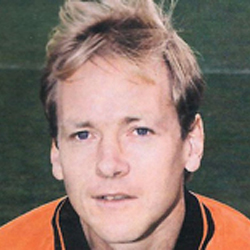 Neil first joined United as a teenager in January 1985. He played in the reserves but in November that year he returned to his native South Africa. Four years later he was given a second chance at Tannadice and played in the reserves again for two years but was then transferred to Falkirk and later joined Dundee. In August 1996, Neil joined United for a third time. 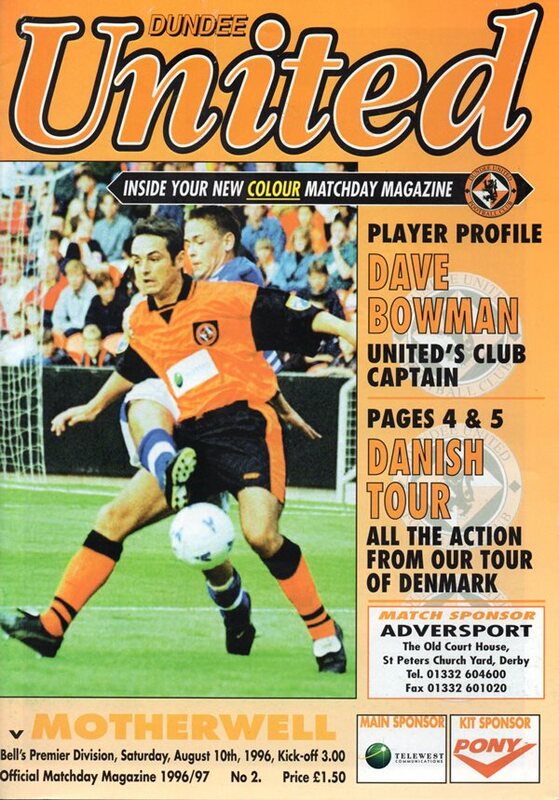 He was at Tannadice for three years but his appearances were restricted by injury and, transfer listed in May 1998, he was released a year later, joining Ayr United. Neil was born on this date in Glasgow. A great start to United's new campaign on their return to the Premier Division wasn't capitalised upon. With the Motherwell defence caught napping, Gary McSwegan sent a diving header past Scott Howie from Ray McKinnon's free kick to make it 1-0 in five minutes. More chances fell United's way, but they failed to take them and midway through the half, the visitors finally came to life. Only a finger-tip save by Ally Maxwell kept out Billy Davies first time shot through a ruck of players. However, the move of the match ended when Gary McSwegan shot past after great work by Dave Bowman and Owen Coyle. Bottom dogs Raith Rovers upset the form book and got their first away points of the season on the board with a deserved victory against a lack-lustre lited side. Much was made of the fact that the visitors finished up with only nine men, but the first of two expulsions (Kirk) came as late as the 79th minute with Twaddle prematurely following him down the tunnel a mere three minutes from time. The final scoretine belies how close this was as a contest. Against the run of play Neil Duffy headed us in front but only two quick-fire goals from Kjell Olofsson early in the second half, ensured our passage into the quarter finals to meet Ayr United at Somerset Park. 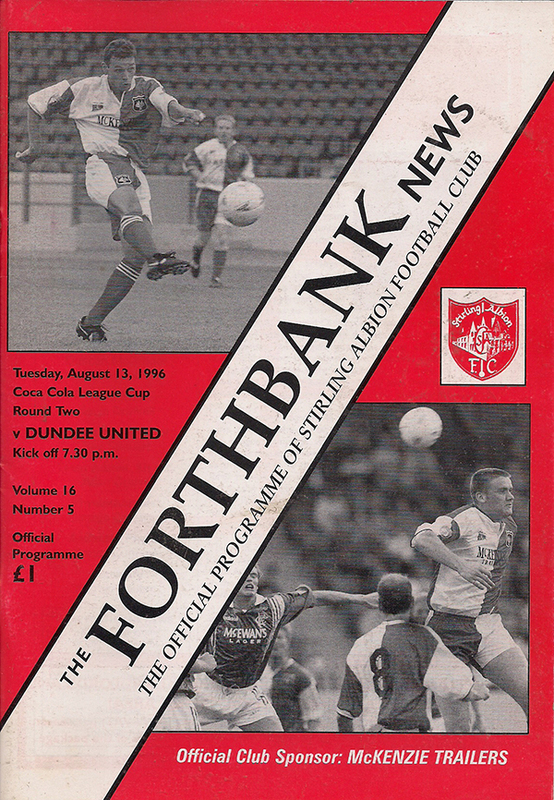 Thanks to two Billy Dodds strikes, one from the penalty spot, we were two up and apparently cruising to victory at the end of forty-five minutes. Yet within ten minutes of the second half re-starting, the home side were level. Even then we had enough chances after that to win the game, although Dunfermline too had their opportunities in an enthralling finale.